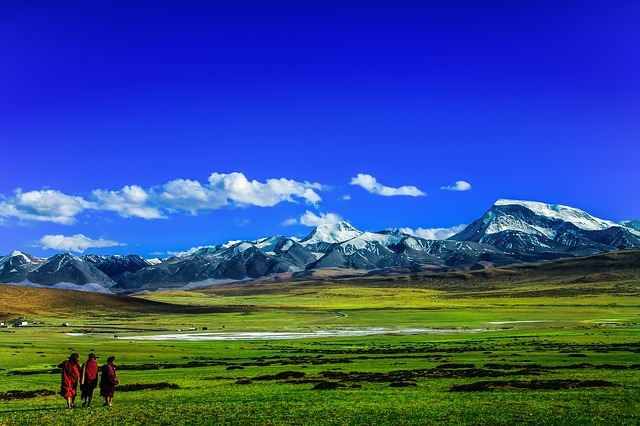 Tibet, the inspiration behind the ideal of 'Shangri-la' or Paradise on Earth, has a rich and vividly unique culture of its own. Ruled by the Dalai Lamas since 1642, and for centuries before that by a succession of religious kings and other priestly rulers, it is one of the few nations in the world with such a long history of continued independence. "For many Tibetans material life was hard, but they were not the victims of desire, and in simplicity and poverty among our mountains, perhaps there was more peace of mind than there is in most of the world," so says His Holiness the XIV Dalai Lama in his autobiography — 'My Land and My People'. Tibet was a peaceful, independent state when, in 1949, it was invaded by China in an act of unprovoked aggression. In 1959 His Holiness the Dalai Lama was forced to seek political asylum in India, along with his entire government and tens of thousands of ordinary Tibetans. Since then Tibet has never been the same and the lives of all Tibetans has changed entirely. Faced with brutal oppression and treated as second-class citizens in their own country, many Tibetans still risk their lives to join their leader in exile. Here they are confronted with another problem — the sad predicament of refugees everywhere. To say the least, the fate of the vast majority who remain in Tibet is far worse. Throughout the early decades of the occupation, tens of thousands of Tibetans were killed and many more sent to prisons and concentration camps. During this period more than 6,000 temples and monasteries — including vast Buddhist universities and ancient libraries — were looted, burned and destroyed. Even today, despite some cosmetic changes, largely for the benefit of tourists or visiting dignitaries, Tibetan religion and culture has not recovered from the decades of suppression and continues to suffer from neglect and discrimination. Rampant and indiscriminate exploitation of Tibet's vast natural resources is also threatening the fragile ecological balance of the Roof of the World. However, the single biggest threat to the survival of the Tibetan people is China's policy of population transfer aimed at reducing Tibetans to an insignificant minority in their own country by sending in millions of landless, and jobless Chinese. The distinct cultural ties between India and Tibet — the most obvious being the spread of Buddhism from India to Tibet in the seventh century — is perhaps too well known to bear repeating here. The trade and economic ties between the two countries is perhaps even older. 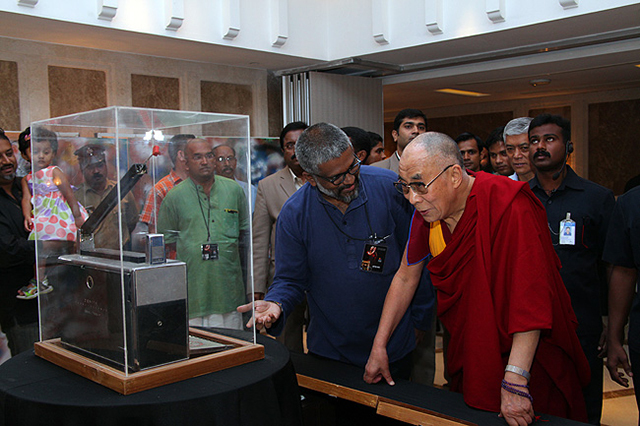 It is equally important to remember that India maintained independent relations with Tibet throughout our shared history. Never, until China's military occupation of Tibet after 1949, has India ever shared a common border with China. Today India spends more money to defend our northern border with Chinese occupied Tibet than we do to protect our border with Pakistan. Even in the case of our western border, much of the problem is linked to the political, economic and the military support that China gives to Pakistan. Joined together by almost the entire length of the mighty Himalayan range — India and Tibet are also inseparably linked in a physical sense. With such an extensive common frontier, the environmental changes on one side inevitably affects the other. It is for this reason that China's destruction of Tibet's fragile environment — not only through indiscriminate deforestation and mining but also by dumping nuclear and other toxic wastes — should be a major concern to every Indian. The implications of having China as our permanent northern neighbour or even the single issue of any of the rivers flowing from Tibet to India becoming polluted by toxic waste is too serious to be left to chance. Friends of Tibet believes that all the issues raised above are of a global nature — not only in terms of the principles involved but also in terms of their impact. It is no longer just a question of helping an oppressed people and supporting a peaceful and friendly neighbour. Today the question of Tibetan independence is inseparably linked to India's long-term future. Let us act now to make Tibet free! Founded by Sethu Das in 1999 with just one member, Friends of Tibet (India) started its activities as an email club — informing people about the latest from the Chinese-occupied Tibet and from the Tibetan community in exile in India. The website of the organisation was inaugurated by Venerable Yeshi Togden, president of Gu-Chu-Sum Movement of Tibet, an association of former political prisoners from Tibet on March 9, 1999 at Dharamshala — the seat of the Tibetan Government-in-Exile. Friends of Tibet is a people's movement to keep alive the issue of Tibet through direct action and its activities are aimed at ending China's occupation of Tibet and the suffering of the Tibetan people. Friends of Tibet supports the continued struggle of the Tibetan people for independence. Friends of Tibet is also one of the principal organisers of World Tibet Day around the world. Friends of Tibet is a people's movement to keep alive the issue of Tibet through direct action. Our activities are aimed at ending China's occupation of Tibet and the suffering of the Tibetan people. Friends of Tibet supports the continued struggle of the Tibetan people for independence. Friends of Tibet is also one of the principal organisers of World Tibet Day around the world.